We love McDonald Garden Center! 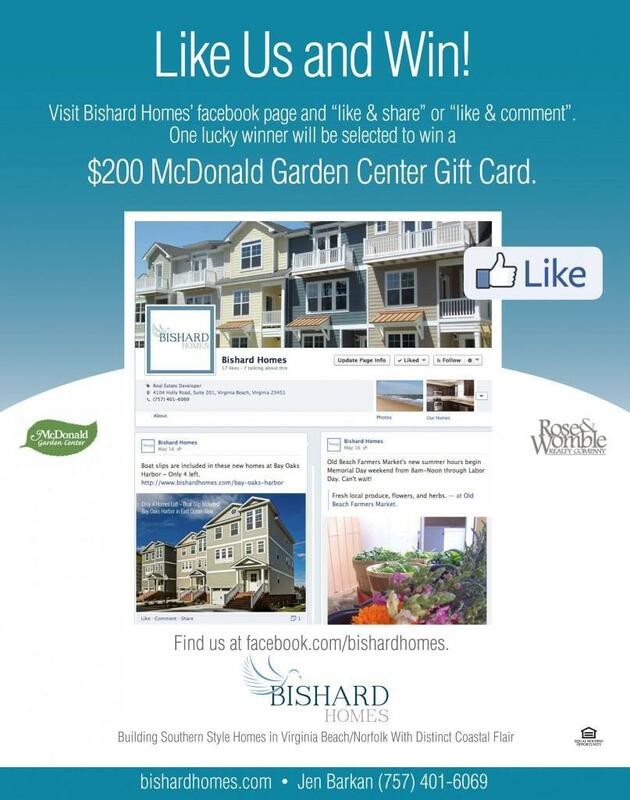 Visit our facebook page at facebook.com/bishardhomes and you could win a $200 gift card! Simply visit our page, "like our page & share a post" or "like the page & comment" on the page. We'll post the results here and on the facebook page. Good luck!